Another overspend by the Isle of Man's Department of Health is of "serious concern", a member of Tynwald has said. Jane Poole-Wilson MLC expressed her concerns as the Manx parliament unanimously approved a request for an extra £4m to plug the 2018-19 deficit. It is the fourth consecutive year the department has gone into the red. "Without decisive and bold action to improve efficiency and effectiveness we are not securing proper value for this money," said Mrs Poole-Wilson. Health Minister David Ashford MHK said rising spending on medicines and a pay increase for NHS staff had contributed to the current financial year's overspend. He said his department was forecasting that "it may exceed its budget by up to £4m". But he added that he "firmly believe[s] that our financial position is improving". The department was allocated a budget of nearly £220m in 2018-19. In the next financial year the Department of Health's budget will increase by £3m. Total government spending in 2019-20 will be £1.038bn. The overspend in 2017-18 was £9.5m. 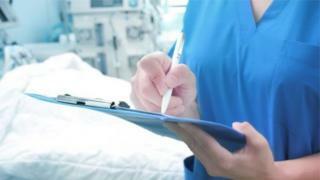 A review of health services in the island, which is expected to make a number of recommendations, is due to be debated by Tynwald in May. Mr Ashford said his department would then have to "grasp the nettle" by introducing reforms.